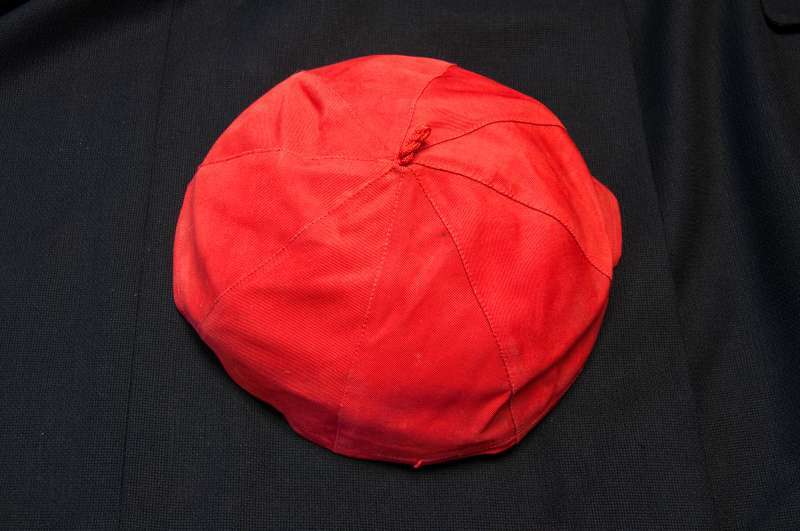 This zucchetto is actually a very historically significant item. 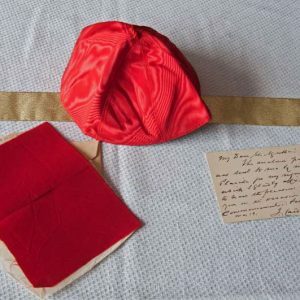 Although it is not absolutely certain, it is very likely that this is the zucchetto given to Cardinal Wojtyla by Pope Paul VI. The reason this is plausible is because on the inside there is a small tag that says, “K J Wojtyla, 1967, San Cesareo in Palatio”. That is the name of the church that he was given as his titular church upon his elevation. 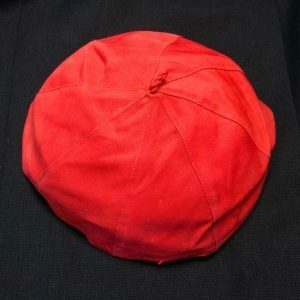 Because more than one man is elevated to the cardinalate at a time and because they are of different sizes, it is important to specify which zucchetto belongs to which cardinal. Therefore tags are put inside to assure each receives the correct hat. This is a very rare item owned by the more recently canonized pope, and it is very likely the one given to him by the most recently canonized (October 2018) Pope Paul VI. 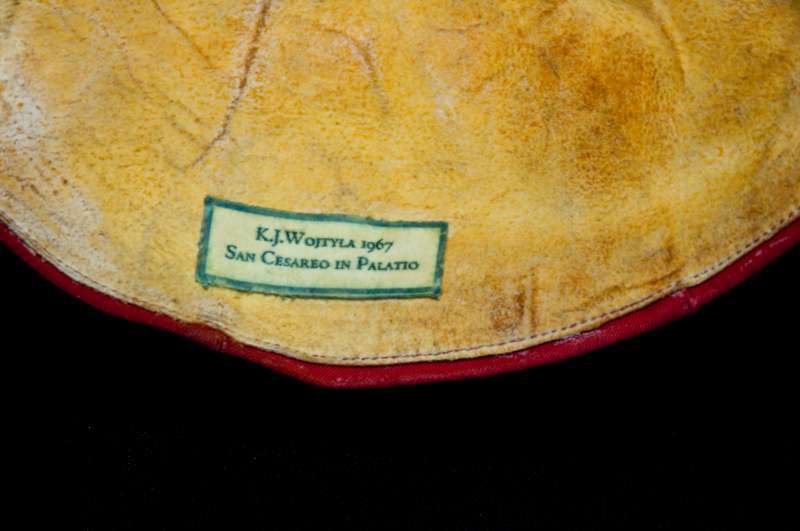 It’s so fascinating to think that Karol Wojtyla wore this on the day that he was made a cardinal. And the way we know this to be true is because of that tag on the inside of the hat. 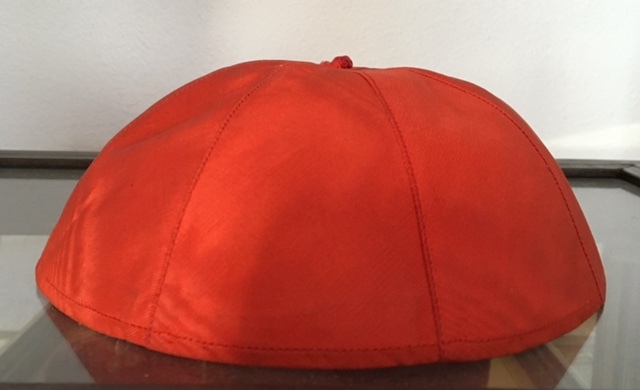 Also, since each cardinal is always given a titular church that, in and of itself, is proof that this is his original zucchetto. I’ve also done a little research with the person I actually got the zucchetto from. 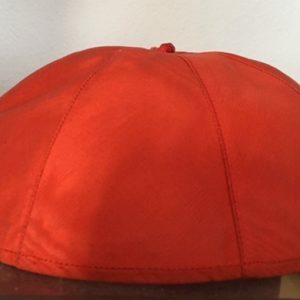 And other people who have been secretaries to cardinals when they were elected have said it is a common thing when someone is made cardinal to put this little tag inside the hat. This is because every cardinal wants a different size zucchetto that feels comfortable to wear. I have a number of zucchettoes in the Collection. 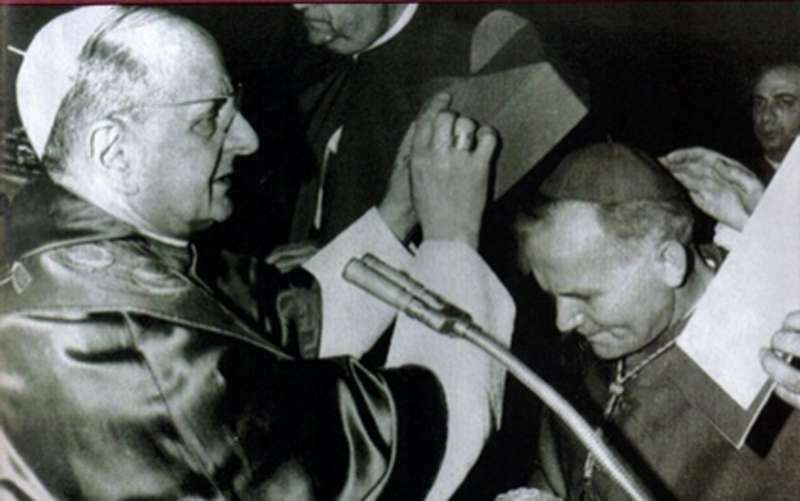 This one, historically speaking is the most important one because it’s so associated with Karol Wojtyla, John Paul II, in regards to his consistory, which, of course, lead to his election as our Holy Father. It was first adopted in the 13th century to keep the tonsured (shaved heads) of clergy warm in damp, cold churches but it has survived to the present day. 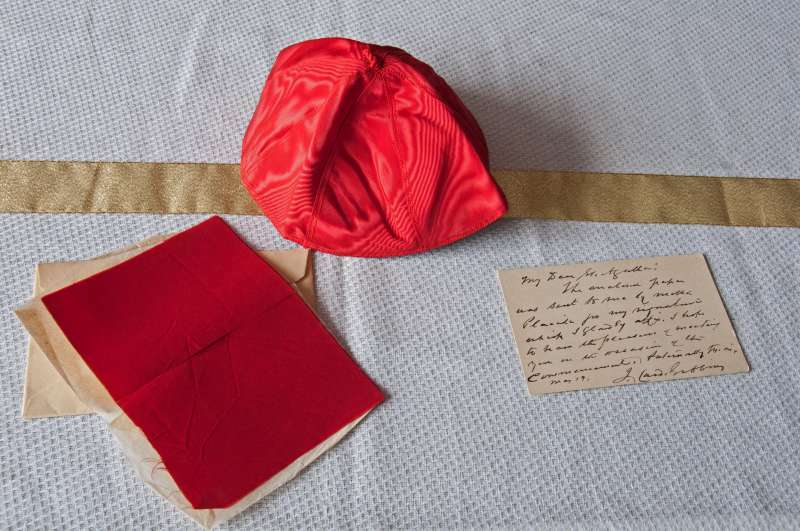 The Collection has a zucchetto from every pope from as far back as Pius IX, who reigned from 1846 – 1878, with the exception of John Paul I who was pope for thirty-three days in 1978.